Since its inception less than a decade ago, the Chevy Cruze has proven itself to be one of the more popular compact cars on the market. It has achieved high sales in markets all over the world, not just North America. Because of its similarity to a former Japanese model, it has also seen high sales in China, South Korea and other parts of Asia. It has also enjoyed great popularity in countries such as Egypt and South Africa. As you can see, the Chevy Cruze has an almost global appeal. So what makes the Chevy Cruze so prevalent on so many different continents? That question has several answers and cannot be answered with one quick reply. That answer will take multiple in-depth looks into this sleekly designed and extremely affordable car. Read on to learn more about the design of the 2019 Chevy Cruze, its unique performance and highly regarded interior technology. After that, you are welcome to visit one in person and decide which of the many trims of the 2019 Chevy Cruze is right for you. Chevrolet’s “Infotainment” feature is considered to be elite in the automotive world, and the infotainment package in the 2019 Chevy Cruze is no different. The Infotainment feature is exceptionally easy to use and has a greater ability than most to recognize names through voice recognition. Presets for navigation, music and other features are standard and easy to use, even when driving. Controls on the steering wheel allow you to keep your hands on the wheel. Additionally, the Infotainment center in the 2019 Chevy Cruze is adaptable for both Android Auto and Apple CarPlay. So, in the great debate between Android and Apple phone technology, both are winners in the 2019 Chevy Cruze. While most modern cars feature some levels of interior technology and convenience, what makes the 2019 Chevy Cruze more unique is its interior dimensions and how they affect those technologies. Even though the Cruze is a smaller vehicle, and by definition doesn’t have the interior volume of a large SUV, it is still rather roomy on the inside. It has more than enough space to allow four adults to travel comfortably. Sometimes, even in compact cars, the panel design is not conducive to easy access for the driver. This is not the case in the 2019 Chevy Cruze. Everything from navigation to temperature control to hands-free phone access is easily within reach of the driver (2). Moreover, the interface is simple to learn and operate. It functions smoothly, and it’s easy to learn and navigate layout make it a joy to work with, especially on a long trip. When certain safety features are added to the 2019 Chevy Cruze, the Infotainment center doubles as a security control center. And it is all literally well within arm’s reach. The 2019 Chevy Cruze has many trims, and one of them is the DIESEL option. This is a very unique option in cars this size. However, the diesel engine option has been in place in specific models around the world since the Chevy Cruze hit the market in 2010. The diesel engine offered in the 2019 Chevy Cruze is a 1.6 liter, four-cylinder diesel engine. While a few other sedan models now have diesel engine options, none can boast a highway mpg rating of 52 that the 2019 Chevy Cruze Diesel Sedan can (1). That could potentially get you more than 700 miles down the road on a single tank of diesel fuel. Those numbers are better than any other non-hybrid or non-electric vehicles in the country. Performance, however, is not limited just to outstanding fuel economy. Time and time again, in the United States and abroad, the 2019 Chevy Cruze has been given the highest possible safety ratings. These accolades do not just come from the United States, either. South Korea, China, and Australia, as well as the European New Car Assessment Programme, have all joined the United States in giving the Chevy Cruze top safety ratings. Each trim comes standard with ten airbags, including side and knee airbags for the driver and front passenger. Available safety additions include Forward Collision Alert, Low-Speed Automatic Braking, Lane Change Assist, Lane Keep Assist and many more. With so many available safety features on so many different trim levels, it is no wonder that the 2019 Chevy Cruze is more than capable of keeping you and your family safe on the road. Because the Chevy Cruze is a relatively new model, especially for General Motors, who has been in the automotive industry for more than 100 years, it has a naturally modern design. There are no holdovers to the “Golden Age” of automotive engineering. There are no nostalgic looks or classic editions. It was born into modern engineering and technology. As such, it has an instinctive 21st-century look, with sleek corners and aerodynamic curves. It has also kept up with modern looks by having frequent, but minor, facelifts. In the past few versions, small changes such as grill and headlight modifications, along with slightly different angular designs, have helped the Chevy Cruze keep pace in the compact car market. One of the things that sets the 2019 Chevy Cruze apart from the rest of the market is its adaptability. The 2019 Chevy Cruze is available as either a hatchback or a sedan, each with multiple trims available for customization. Each trim level on each style has its own unique additions and list of potential add-ons. These availabilities include external aesthetic modifications (steel wheels, LED running lights), interior technologies (Bluetooth and Bose Audio Systems) and convenience features (keyless start and USB ports) inside and out, and much, much more. However, perhaps the most distinguishing feature of the 2019 Chevy Cruze is the fact that it can be purchased with a fuel-efficient diesel engine. That is highly unusual for this particular class of car but could provide extreme benefits for the right driver, namely a driver who spends considerable time on the highway and wants to save money on fuel. If you are looking for a simple, yet understated car, with exceptional gas mileage, unique design features, and excellent safety ratings, look no further than the 2019 Chevy Cruze at Carl Black Nashville. Our knowledgeable and courteous staff will assist you every step of the way, from showing you the trims and features of the 2019 Chevy Cruze to exploring financing options, you will be in good hands from the moment you step onto the lot. And, if you can’t make it down to the lot soon, and still want to check out the 2019 Chevy Cruze and other amazing Chevy models, our virtual showroom is open 24 hours a day. 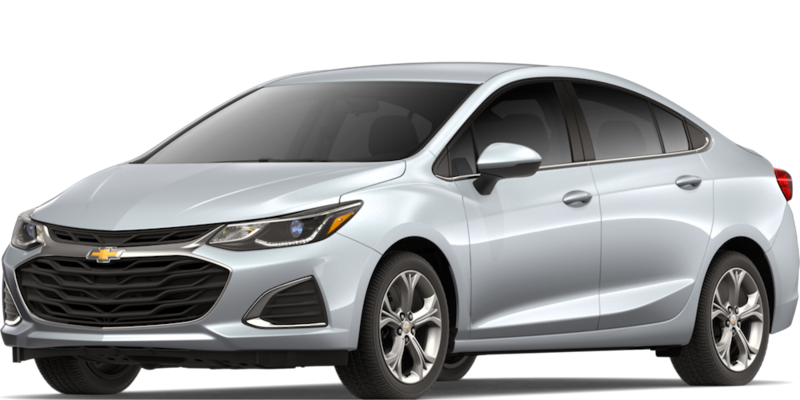 With an MSRP of $17,995, the 2019 Chevy Cruze starts out at a very reasonable and competitive price for a car in its class. When you factor in the diesel engine and the potential for some of the best fuel economy on the market, as well as the superior safety ratings it has achieved around the world, you will start to see its popularity and mass appeal. 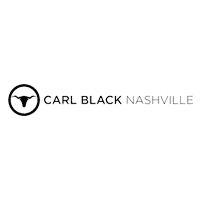 Hurry down to Carl Black Nashville on Murfreesboro Pike or check us out online. The 2019 Chevy Cruze is waiting for you!